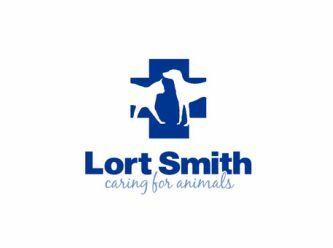 Lort Smith exists to improve the health and happiness of animals and the people who care for them. • In our Animal Hospital by providing exceptional veterinary care and preserving the human-animal bond irrespective of a person's circumstances. • In our Adoption Centre by providing sanctuary, rehabilitation, welfare and a new home for animals. • Through our Community Outreach programs by promoting responsible pet ownership and nurturing the human-animal bond. 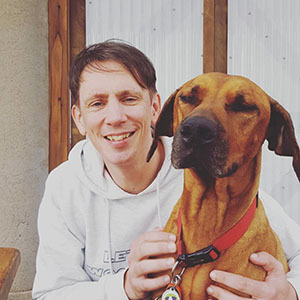 The Lort Smith Adoption Centre offers sanctuary, rehabilitation, welfare and a new home for injured, surrendered and abandoned pets with no-one to care for them. Our Adoption Centre rehomes around one thousand surrendered animals every year. All of the animals available for adoption in our shelter have been examined by a vet and vaccinated, desexed and microchipped. We also screen animals for specific temperaments and behaviours to ensure each family finds the right pet for its lifestyle. All re-homable animals brought to our Adoption Centre are found a new home and we will never euthanase a healthy pet. *FOSTER TO ADOPT* Hello there, my name is Maddie. I am searching for a loving forever home. I'm very people orientated - in fact I will become your shadow. I love pats and cuddles and walks on lead. 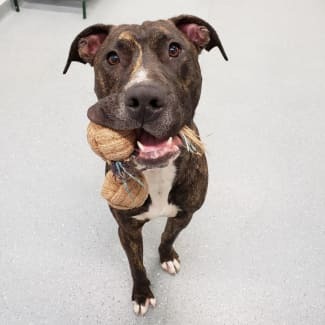 I'd prefer to be your only dog and live in a quiet household where I can relax. I love long walks and some enrichment to keep me busy. Swimming is also fun and tug toys are a blast! What I mostly need is someone I can share a bond with so we can spend our lives together! I am foster to adopt, as I require a follow up blood test as I may have an underlying medical condition. Please ask staff for more details. If you're ready to make a commitment please contact the Adoption Hub to schedule an appointment as I am currently in foster care - 9321 7240. Hi there, I'm Cupcake and I'm here with my brother Cloud. 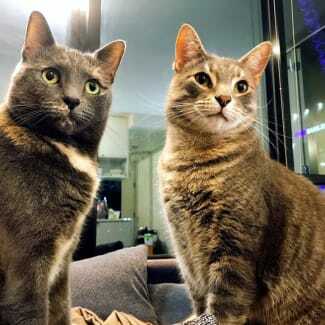 We are super sweet cats looking for a new home together - do you have room for two? I am a confident girl. I love to explore my indoor-only surroundings and greet people when they arrive. I'm very affectionate and quite like to play. My brother Cloud is a tad shy when it comes to new people. Once he gets to know you he will become your shadow and sit with you all day. We both need to lose a little weight - but with your help, some extra playtime (aka exercise) - we are confident we can achieve our weight-loss goals! Please contact the Adoption Hub to find out more about us or to come and meet us. *FOSTER TO ADOPT* Well howdy there, my name is Diesel. I was surrendered to Lort Smith when I sustained a nasty cut to my back leg. My previous carer and the staff here suspect I must have accidentally brushed past a piece of metal whilst I was in the backyard. Fortunately I'm on the mend and my wound has almost healed completely. I do however have sore ears at the moment but medication is helping and I hope to be fit as a fiddle very soon! I am definitely ready to find a new home, but until I am fully healed, I will be classified as a foster to adopt. Official paperwork can be completed once my ears are better. As I am a young boy and still have lots of learning to do, it would be best if my new carers were strong and confident handlers. They need to commit to taking me to obedience classes and reinforcing my manners. I am very sweet, love to cuddle and I adore belly rubs. At times, I can get a bit too excited and don't know my own strength. It's probably safest if I don't go to a home with young children as I'd hate to accidentally knock them over. I get along well with other dogs but will need to work on how I initially greet them as I can come across as quite silly! 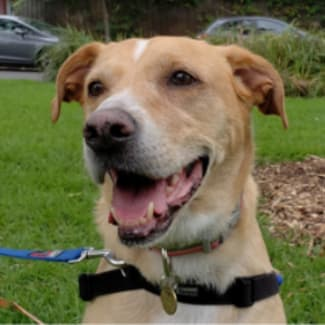 I can be rehomed with another dog but they would have to be able to cope with my enthusiasm. A calm doggy mentor would be ideal! 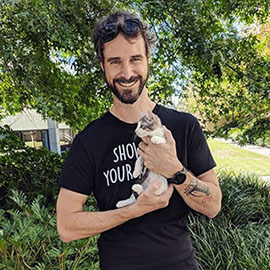 If you think I could slot into your lifestyle, please call the Adoption Hub on 9321 7240 to book in a meet and greet. Can't wait to say hello! Hello my name is Scarlet! I was surrendered to Lort Smith as my previous carers were no longer able to look after me. I am a very timid lady, so it has taken me a little time to settle into shelter life. I am still unsure of my surroundings, but I get comfort from lots of pats and good conversation. A quiet home with no young children would be perfect for me. I would like to be the only pet of the household. I am seeking a patient adopter who will allow me time to adjust to my surrounds and learn that the world isn't so scary. 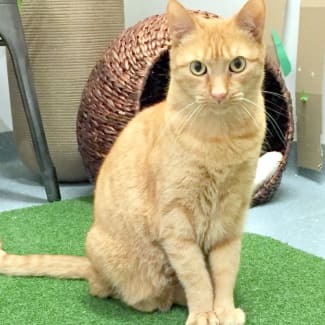 If I sound like the one for you, please, come to the Adoption Hub where the friendly staff can introduce me. Hello! My name is Misty. I am looking for some humans to call my own. I came to Lort Smith when my carers could no longer look after me. If there was one word to describe me it would be 'smoochy'. I absolutely love your attention and scratches under the chin. If you are looking for a sweet and loving cat and want a couch cuddle buddy I may be the cat for you! 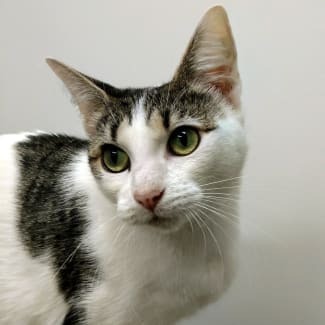 Come give this smoochy kitty cat some love at Adoption Hub.